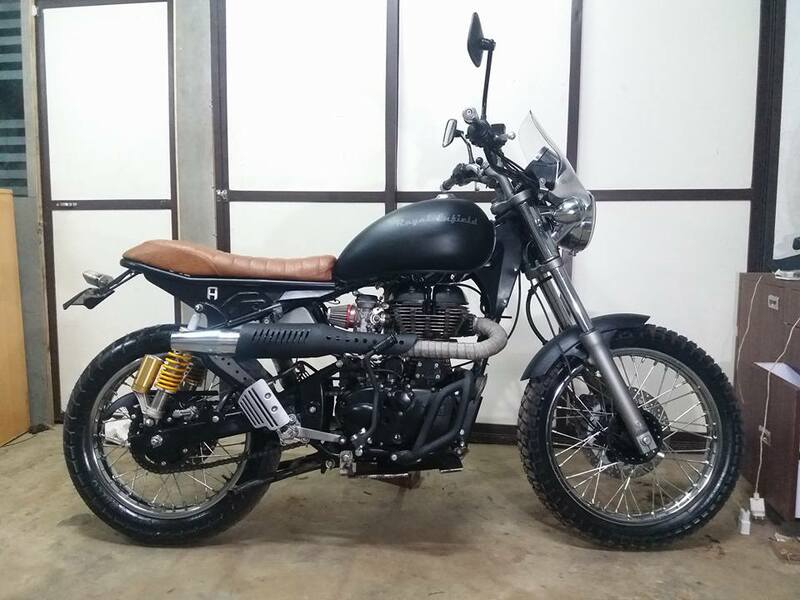 Today we are featuring yet another Scrambler made out of the mighty Royal Enfield Thunderbird 500. This is Nubra by A4 Moto Designs, a workshop based in Dahisar (E) Mumbai. Nubra is a Scrambler-tracker Motorcycle which has been designed and build with trendy looks. 2. Motorcycle height is increased by Two and half inches with upgraded front and rear shock absorbers. 6. Upgrade with custom sprocket, air intake. If you like this bike and want your Royal Enfield Thunderbird to be like this one then you can contact A4 Moto Designs through their facebook Page: https://www.facebook.com/pg/A4MotoDesigns.